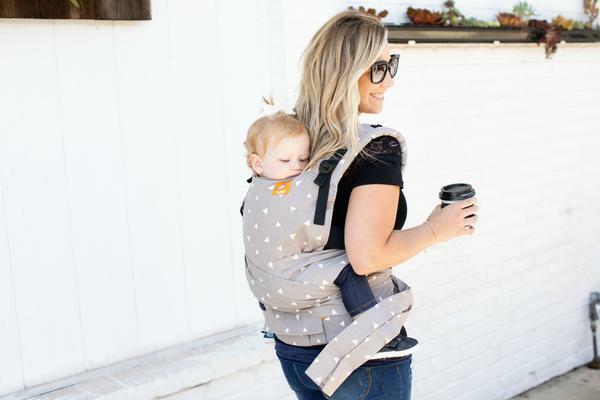 Customize your daily snuggles with the Tula Half Buckle Carrier, an Asian inspired hybrid carrier. Get the comfort and ease of our ergonomic buckle carrier with the just-right fit of tie straps similar to a Meh Dai carrier. Beginning at 3.2kg and up to 20kg, enjoy multiple ergonomic carry positions with an adaptable panel that adjusts in width and height to fit your baby at any stage without an infant insert. The crossable, padded shoulder ties wrap around you to support you and baby with a snug hug fit.